Meal in a Pinch! Hot and Healthy, No-Fat Meal in 5 Minutes! I came home from a 2-hour appointment that took place during the time I would normally eat lunch. It was 2:30, I was grumpy and nearly passing out from hunger (ok, so I’m exaggerating a tad – but you get the picture. I was HUNGRY!). I needed to put something together fast! Anyone who knows me well, knows I do NOT skip meals. If and when I do, it’s not pretty. Sure, I could have shoved my fist in the peanut butter jar (this may, or may not have happened previously), but I wanted to make a good, nutrient dense, low-fat choice. I pulled mashed yams out of the freezer – sold by Trader Joe’s. The bag contains frozen “pucks” of cooked sweet potatoes and you simply reheat as little or as many as you need. Genius. Then, I grabbed the frozen chopped kale, also a Trader Joe’s item. And lastly, thank you Trader Joe’s – the frozen brown rice. I threw all these items with some water in a pan and had lunch in 5 minutes. I seasoned it with some hot sauce, Bragg’s Liquid Aminos, lemon juice, sea salt and pepper. I was ready to eat in literally 5 minutes. Not only was it quick, and healthy with no fat, it was GOOD! Since I was basically delirious from hunger while preparing it, I didn’t measure or really even pay attention to amounts used. 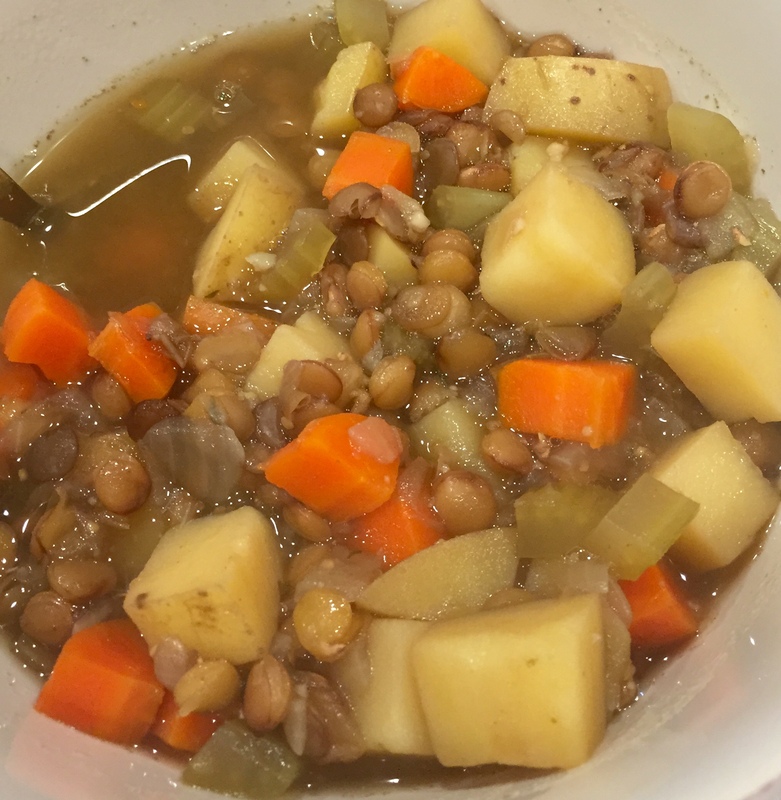 I will do my best to recount the details in the recipe here, so that you too can have a super quick and healthy meal next time you’re in starvation mode. It would be difficult to screw this dish up so play with it and enjoy!